Dr. Cathy Townsend, Chairperson of the Salisbury Area Chamber of Commerce, has announced the appointment of Bill Chambers as SACC’s President/CEO. After an extensive search by a committee made up of key members and officers of the SACC, Chambers was chosen to head Salisbury’s 820 member business organization. Bill is an experienced executive with thirty-seven years of high level organizational management expertise. He has managed large, multi-level programs utilizing public and private partnerships. 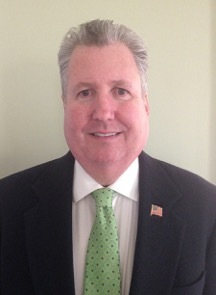 Bill has been the President/CEO of the Calvert County Chamber of Commerce for 2 years and has represented over 430 member business organizations. He has worked directly with the Maryland Legislative Delegation on legislation impacting local businesses and has also worked closely with local elected and appointed officials. Bill’s past Chamber experience also includes past chairman of the board for the Baltimore Washington Corridor Chamber of Commerce, Calvert County Chamber of Commerce, and the Maryland Chamber of Commerce. Prior to his role at the Calvert County Chamber, Bill was the Executive Director of the Arts Council of Calvert County for over 3 years where he managed the regional art gallery, State and County grants programs and arts related educational workshops. For 32 years, Bill served as the General Manager of The Show Place Arena and Prince George’s Equestrian Center which is a 6,000 seat sports and entertainment arena and 130 acre equine center with an annual budget of $3.5 million and a staff of 150 employees. Bill’s additional leadership positions include seats on the Southern Maryland Higher Education Board of Governors, Maryland Women Heritage Center Board, and Calvert Economic Development Commission. Bill graduated from University of MD, College Park with degrees in Sociology and Criminology.